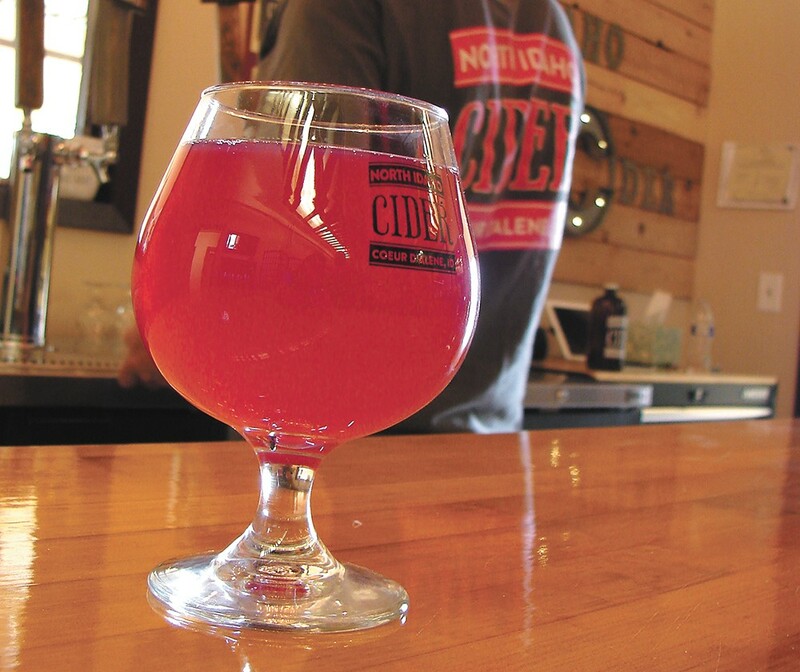 North Idaho Cider has added flavors with their expansion. North Idaho Cider may have fewer partners since the departure of two founding members, yet the numbers look good, say remaining owners Jeff Selle, Keith Allen and Matt Peterson. In the past year, they have nearly quadrupled their cider offerings from two to seven and doubled the places carrying their ciders. Selle was working in government affairs when he met Allen in a spirited online discussion about Harley-Davidson pipes. Allen, who still works at Crossfit CdA, had received a beermaking kit as a past gift and asked Selle, who had been homebrewing for nearly a decade, for help making something gluten-free. As the friendship deepened, so did the potential for a business. The pair heard about Greg and Mara Thorhaug, who were also trying to start a cidery, and teamed up to launch North Idaho Cider in 2014, soon after adding Peterson, a homebrewer who works as a certified public accountant. "God knows Keith and I could use a little business discipline," jokes Selle, "and Matt keeps us in line." After buying out the Thorhaugs, the revamped North Idaho Cider retooled the original Lake City Dry and Lake City Hopped into Fresh Apple and Citrus Sour, respectively. They also added ciders, like Cranapple and Wild Cherry, all characteristically dry, using Yakima apples, but no artificial sweeteners or sulfides. Logger, for example, is aged in toasted American oak and finished in pine. The newest release, Wildfire, will feature habanero, jalapeño and smoked paprika, which Selle says pairs with Clamato juice for a unique Bloody Mary. Wildfire debuts at the Oct. 8 Drool Stampede chili cookoff to benefit the Kootenai Humane Society — Selle doubles as brew- and pit-master — one of several events at their Coeur d'Alene airport location across from Resort Aviation Jet Center. They've showed outdoor summer movies and host a steady crowd at their newly redesigned taproom. Try a 3-ounce taster ($2), 12-ounce glass ($4), or buy a grunt ($14) or growler ($20) to go.